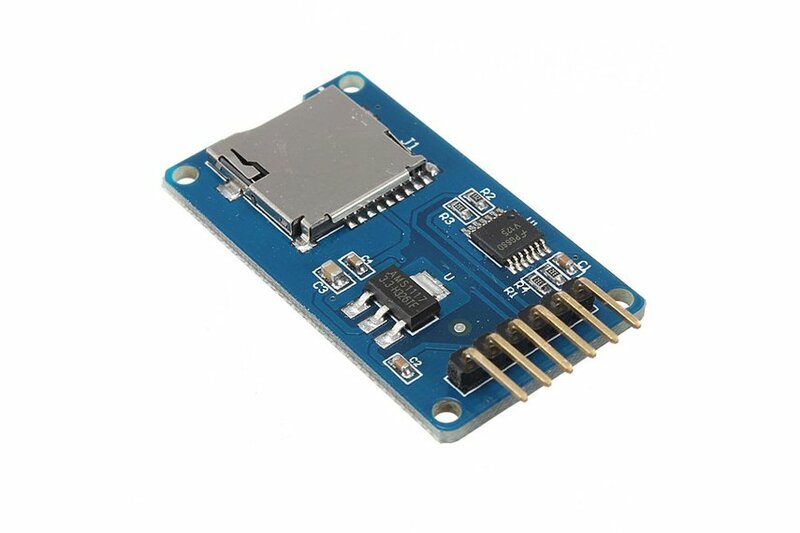 In the previous blog post, you learned how to send big files (html pages, images…) with your ENC28J60 shield. Today I’m going to show you a complete webserver! The sketch leverages the method described in my previous post to send static resources of any size. 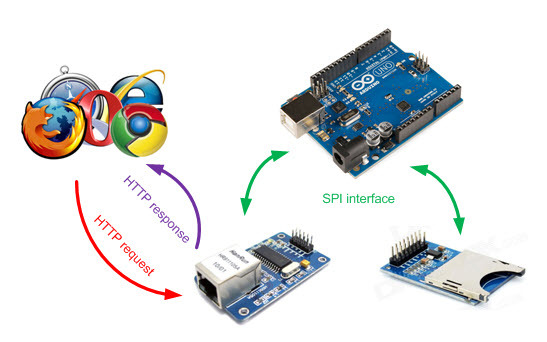 Both the SD module and the ethernet one uses the SPI bus. That bus allows to connect more than one device at a time; thanks to a PIN (called chip-select) Arduino can decide which device will handle the command it is sending on the bus. 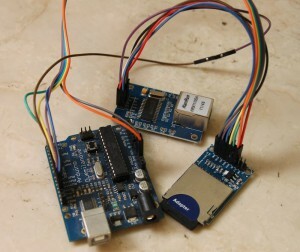 You therefore need to connect the CS PINs of the different modules to different PINs of your Arduino and to configure the libraries accordingly. To read the SD card, I chose the tinyFAT library instead of the built-in one because it needs less RAM memory. In the sketch you can find an example of a dynamic resource: the uptime.ino page. 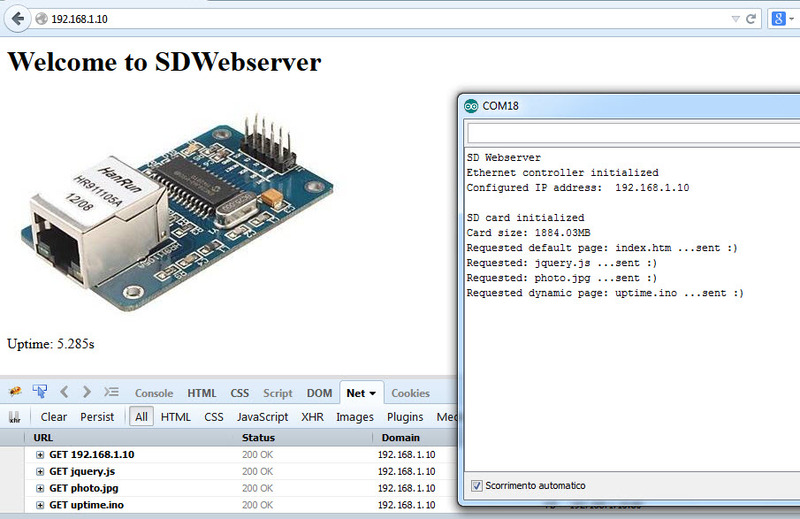 The sketch and the resources for the example website are available on Github!